There is at least one of you who has been waiting over 7 years for this pattern to be published! There are many more of you that have emailed over the years asking for this pattern. And now, here it is, the Lucky Wristlet, available as a free download. 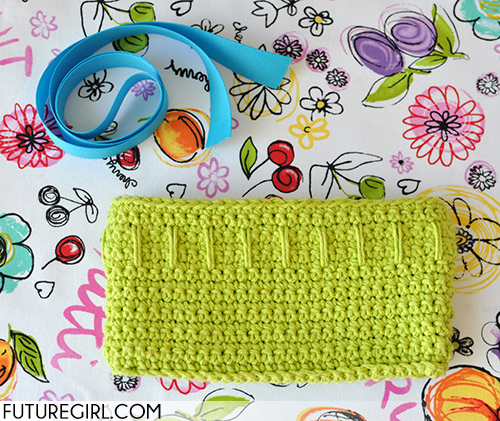 Everything you need to know to make a Lucky Wristlet! This is the photo tutorial for making a ribbon strap for the Lucky Wristlet. The tutorial is broken down, step-by-step. Let me know if something isn't clear. I will be happy to help you out. 1. 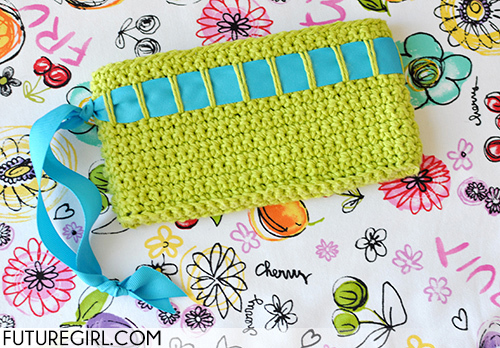 You'll need a crocheted Lucky Wristlet using my free PDF crochet pattern and one yard of ribbon. 2. 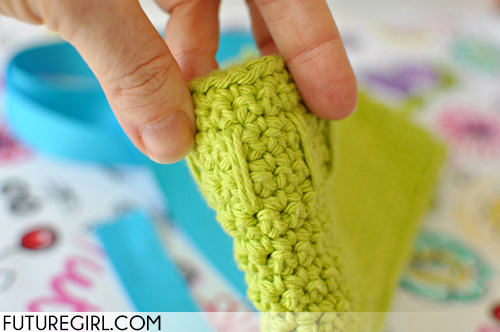 Find the side of your wristlet that doesn't have a spike crochet "belt loop" for your ribbon. This side has a spike. A not-so-little slice of genius from Instructables user DracoGT. The legs and frame are PVC pipe and fittings, painted black. The eye is an inkjet printer transparency illuminated with an LED Tap Light. And the body, of course, is the predominant seasonal gourd, artfully cut to suggest armor plate. Creepy Homemade Funhouse is Creepy (and Epic)! So I recently stumbled upon the work of Ohio-based maker Keith Corcoran, and I'm in awe. Halloween is over, but I'm wishing I could go back in time and make a trip to Keith's "Funhouse" to experience the totality of his "haunt." A cotton candy cauldron, spooky skeleton doling out entry tickets, and a really creepy clown in a rocking chair are just some of the props littering his lawn. This page at the University of Oregon bills itself as "the world's largest collection of anatomically correct fabric brain art." Shown here is Dr. Karen Norberg's The Knitted Brain.